Kary heads our Social Housing team and is a Partner in our tier one rated Property Litigation team dealing with a wide variety of property related disputes, both residential and commercial. Kary has particular expertise in landlord and tenant disputes, possession claims, telecoms, judicial review and enfranchisement. Kary’s expertise includes working with a range of property owners and developers, telecoms site providers, holiday/leisure park operators, electricity companies and social housing providers. As well as advising on property disputes, Kary works with clients to anticipate and avoid disputes and has been involved in several successful mediations. Kary joined Clarke Willmott in 2005 as part of a team of ten joining the firm from Pinsent Masons. Kary is a member of the Property Litigation Association and LEASE and is also the author of several published articles. Lease renewals. Recently Kary was successful in seeking a tenant only break clause in a new lease which was strongly opposed by the landlord due to its impact on capital value. Break notices. Kary regularly advises on the validity of notices, on the ability to challenge break clauses and how to comply with break conditions. Kary has recently successfully challenged a break notice conditional on the payment of all sums due under the lease in which the tenant sought to apportion the rent up to the break date. Telecoms. Kary acts solely for landowners and site providers in dealing with lease renewals, rent reviews and in clearing sites of telecoms equipment in advance of redevelopment. Kary has recently obtained possession from Vodafone and EEL of a Central London site enabling the site to be redeveloped. Planning disputes and Judicial Review. 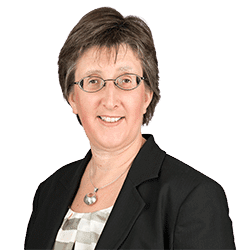 Kary has recently acted for third parties in two reported cases – one involved a village green (R (SDR) –v- Bristol CC and Vence LLP/Ashton Vale Project LLP (2012) and the other a challenge to a planning permission for residential development R (SOPAL) –v- E. Devon DC and Axminster Carpets Ltd (2013). Dilapidations. Kary has recently acted for a landlord of commercial premises in a dilaps claim valued at over £1m. The claim raised interesting questions in relation to the second limb of s.18(1) and supercession as the tenant had carried out very bespoke alterations to the premises. Forfeiture. Kary has recently acted for a landlord in taking forfeiture proceedings as the tenant had assigned the lease without the landlord’s consent. She advised on peaceable re-entry and waiver of forfeiture and tactics in general. Consent. Acting for a national waste provider in seeking a declaration that the landlord is unreasonably withholding / delaying consent to the tenant making a planning application for a change of use. Rating. Kary was involved in a leading case for four retail high street banks concerning 11 rating appeals which were settled on favourable terms. Kary has advised a developer client as to its liabilities to repair sea defences pursuant to the Coast Protection Act 1949.